How do you celebrate love on Valentine’s Day? Since I enjoy cooking, I make a slap up dinner for my husband and me on Valentine’s Day itself. We like it to be simple and quiet – others enjoy the festivity of going out. Valentine’s Day is about all love – it is a time to celebrate your whole community. We do this from childhood on. Who remembers cutting red hearts out of construction paper then carefully cutting out a matching doily heart? The two fit together, snugly glued. There might also have been glitter involved… Oh the pride when giving it to your parents on Valentine’s Day. As we grow up, it’s just as important to honor the significant people in our lives, whomever they may be. We should reach out to our friends, to our family, to our spouse… or all of the above. There are so many ways of sending a Valentine. Valentine’s Day really took off at the beginning of the Nineteenth Century with changes in technology and, in the UK, with the rise of a uniform postal service. The advances in technology today create new and fun ways of celebrating love. Why not let me help you whip up some Valentines – paper or electronic – to tell those important people in your life how much you love them. Lace and glitter welcome but not mandatory! 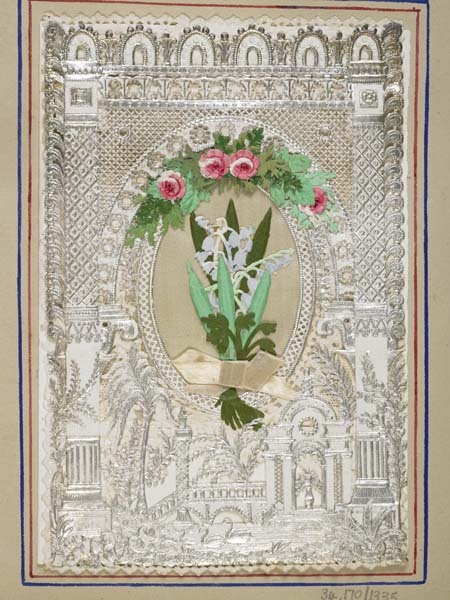 The Museum of London has a fantastic collection of vintage Valentine’s Cards – most of them seem to be lacy. Check them out for a smile. 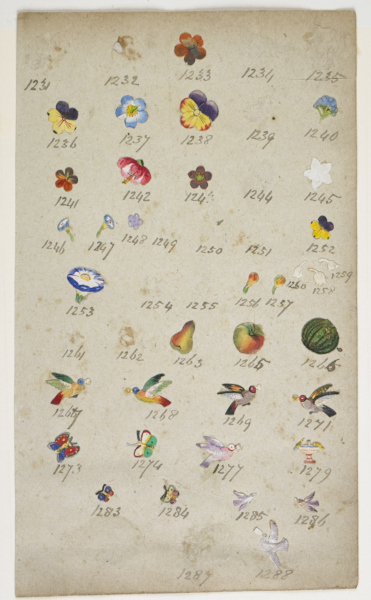 Victorian handcoloured embossed paper decorations used for decorating handfinished valentine’s cards applied to a sheet of paper.